A family moves to Thailand in 2010 to serve others with $900. The faith experience continues today. 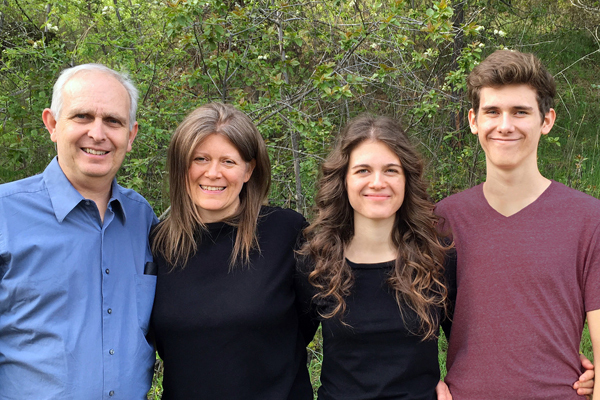 “If families would locate in the dark places of the earth, places where the people are enshrouded in spiritual gloom, and let the light of Christ’s life shine out through them, a great work might be accomplished.” The Adventist Home, 489. Challenged by this quote, we decided to find out what “great work” could be accomplished if our family made the move. Calculating that $3,000 would be enough to establish a home in Thailand, we began sharing our plans with friends and family. As we stepped forward in faith, God began to work. 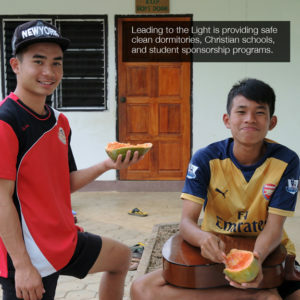 Leading to the Light, our nonprofit ministry, was founded. Friends began to respond. “One-way tickets!” my wife exclaimed. “Aren’t we only going for a year? How will we get back?” Still, we believed God must have it all worked out, so we continued forward. On November 27, 2010, with $900 and one-way tickets, we left our home in Idaho and moved to Thailand. Only the hotel shuttle driver welcomed us at the Chiang Mai International Airport. We were jobless, homeless and way out of our comfort zone. God had our full attention. Little did we know that our one-year faith experiment begun in 2010 would still be growing today. Our experiment has taught us that when we follow Biblical principles like seeking first the Kingdom of God and considering the poor, the widow and the fatherless, God takes care of the details. 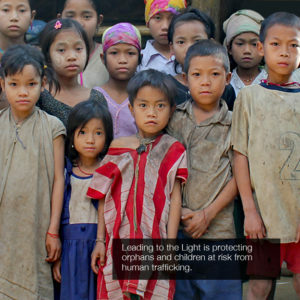 Protect orphans and children at risk from human trafficking. Give hope to impoverished families through education and community service. Provide safe, clean dormitories, Christian schools and student sponsorship programs. Supply teachers in remote jungle villages with the tools they need to inspire the next generation. Our radical experiment continues. We still live by faith, and that’s just fine. We’ve learned that God is faithful and His promises can be trusted. 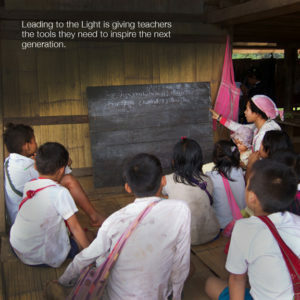 of Leading to the Light at www.leadingtothelight.org. Pray for the vulnerable, impoverished souls served by Leading to the Light, that they may be led to the one true Light! John 1:9. Donate. Neither Leading to the Light or the Rawlings family are financially compensated by the Education Opportunity Foundation. Donate online at www.leadingtothelight.org/donate-now or send to 26710 N. Yale Rd. #18, Chattaroy, WA 99003. Your support is invaluable in maintaining these worthwhile projects and is truly appreciated!